I live in Terrace, British Columbia (Canada) with my wife Jannine and two sons, Gage and Keaton. I work with one of the provincial health authorities as Tobacco Reduction Coordinator. Other than writing, I enjoy playing hockey, mountain biking and other outdoor activities. I also like learning new things and working on our house. Well, the demolition part that is. 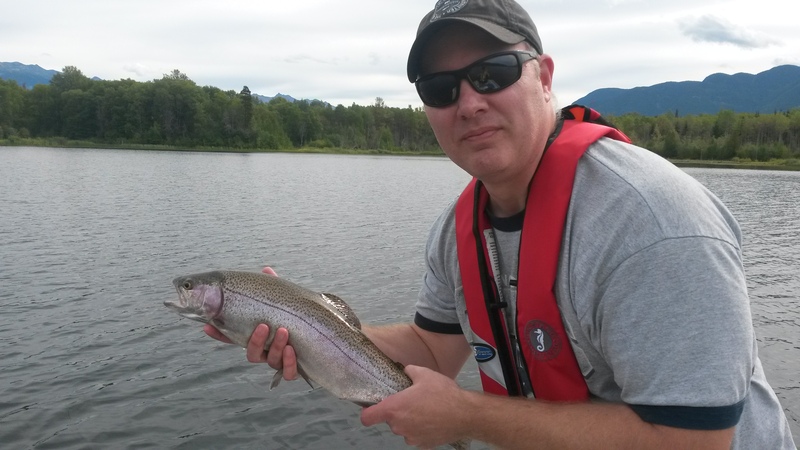 One of my very favorite things to do is spend the day fishing on a quiet, peaceful lake and it makes even better when I catch a nice Rainbow (trout that is). As I walk in the shadow of the king, I tend his garden. I slip among the trees, sometimes dancing on the wind. None sees me, but all feel me. The king likes the garden unspoiled, as it has been for a millennium. He prefers the natural order of things. He calls it the sanctuary of the living, even though death is always part of life. The king understands that the garden has a cycle of life, death and rebirth. He respects the cycle. The king has heard the cries of the trees torn from the ground and dismembered. Men cut down the trees in their prime and rip them to pieces. Men burn them and live in buildings made from their skeletons. He has tasted tears of the creatures chased from the sanctuary in fear for their life. Men pursue them relentlessly. He has felt the final heartbeat of the ones that could not escape. The ones slaughtered for their flesh and skin. Men rob the young of a future and the old of a peaceful ending. When man pushes the king too far he will defend his garden through its destruction. His scorching anger will overflow and destroy those who have desecrated the sanctuary of the living. Their flesh will burn and fall from their bones. Their charred remains will feed the garden as it grows again. I will tend to the young sprouts and give the king a new garden, more brilliant and beautiful than the last. I will weep for the innocent creatures that suffered the king’s fiery wrath, enshrining their bones and singing to their souls. As death is part of life, sacrifice is part of victory. The king is always victorious. The mountain may not wear a crown, but not all kings need such a pittance. Once again, man has encroached, and soon, I will have a new garden to tend.